Had a crash that wasn't your fault? 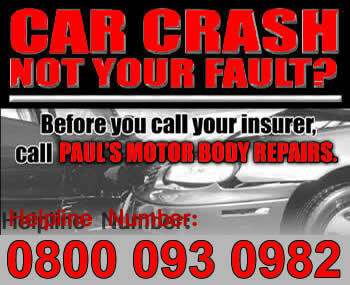 well instead of throwing away your no claims bonus, why not call Paul's Motor Body Repairs! Insurance approved repairers. Accident repairs to dealership standards! At Paul's Motor Body Repairs we can manage your accident insurance claim and take all the stress out of having an accident. One phone call to us is all it takes to get a quality car insurance repair in leicester completed quickley and effeciently. 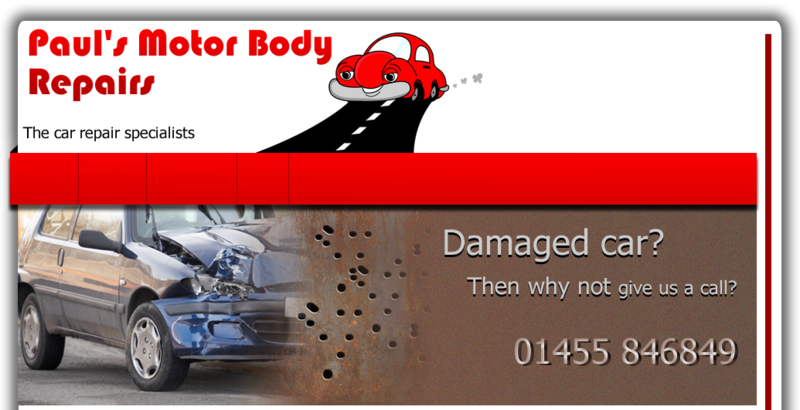 Paul's Motor Body Repairs will liase with your Insurer, arrange authority for repairs and carry out the repairs as quickly as possible. Don't waste time driving or phoning around getting estimates, reduce the hassle and disruption to your life by calling us direct and have the professionals take care of you. Remember it is your legal right to have your vehicle repaired at a garage of your choice, don't let you insurance company inconvenience you any longer.